Comprising 650,000 square feet and encompassing an entire six-acre city block, Corporate Center Pasadena is a Class A office campus in the heart of the South Lake Avenue submarket of Pasadena. The project’s four buildings surround a 60,000-square foot Plaza and constitute the largest office campus in the market. Corporate Center Pasadena’s buildings include efficient, rectangular floorplates in multiple sizes and desirable onsite amenities including LA Fitness, Urban Plates and Dunkin. The buildings were constructed between 1964 and 1982 and vary in height from two to fourteen stories. The project offers a market-leading 2,000 onsite parking spaces located in a seven-story garage. 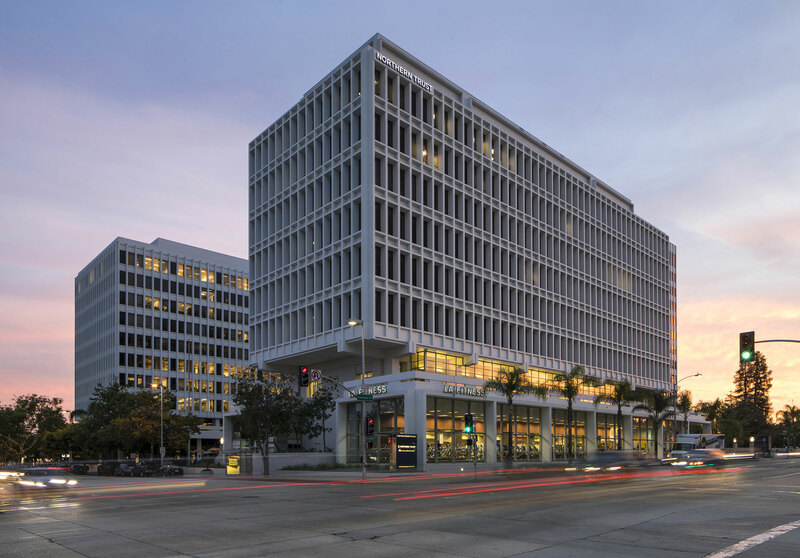 Coretrust acquired Corporate Center Pasadena in May 2018. The firm has embarked upon a comprehensive capital improvement program focused on the central Plaza, main building lobbies and other front-of-house spaces to complement the project’s advantageous location within the highly-walkable South Lake Avenue Business District. Coretrust will also execute on a modernization of building systems and elevators to improve the occupant experience and sustain the project’s LEED Gold certification.